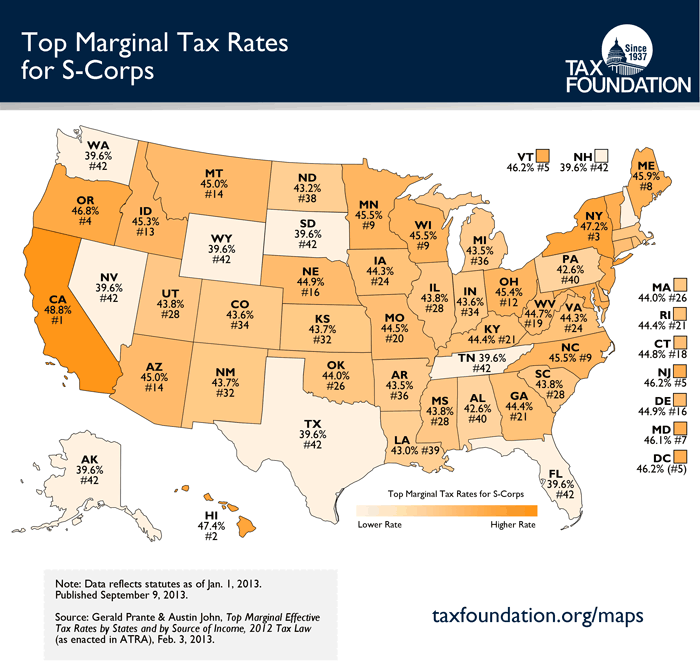 This week, we are featuring two new Monday Maps which pull data from a Fiscal Fact we released last week, “Individual Tax Rates Impact Business Activity Due to High Number of Pass-Throughs,” and look at the top marginal tax rates for sole proprietorships and S-corporations throughout the states. 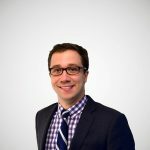 In his study, Kyle Pomerleau explains that more than 30 million pass-through businesses file their taxes at the individual rate, and why a large percentage of those businesses have a marginal tax rate exceeding 40 percent. It is important to remember what we are looking at with this Monday Map. We are not examining the effective rates of businesses in the top bracket, but rather, the top marginal tax rate on (S-Corporations/Sole Proprietorships) in each state. A “marginal” rate is the amount that is taxed of the next dollar of income earned by pass-through businesses in each state’s highest tax bracket. These rates reflect the sum of federal, state, and local income taxes (minus the state and local tax deduction); self-employment taxes; and the limitation on itemized deductions. Click on maps to enlarge them. Click here for previous maps. For more information about how individual tax rates affect the majority of businesses in the U.S. economy, click here.